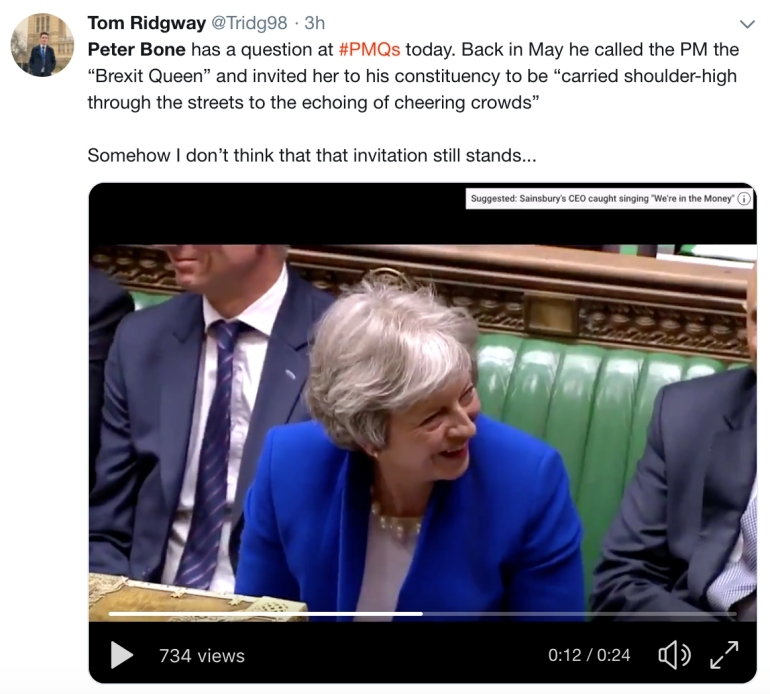 Corbyn rinsed Theresa May at PMQs. 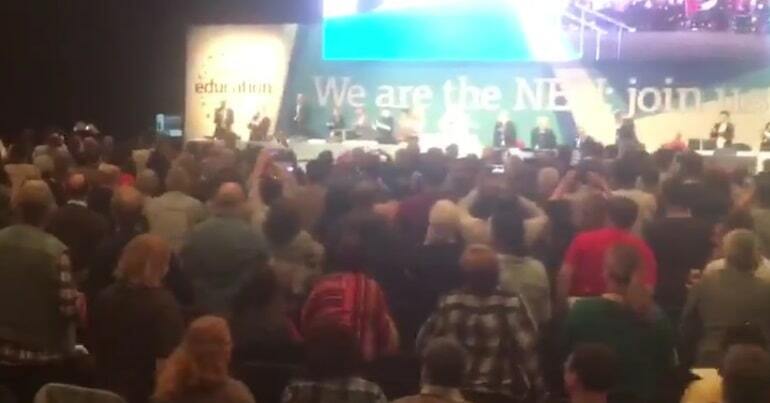 Then the Tory who dubbed her ‘Brexit Queen’ finished her off. 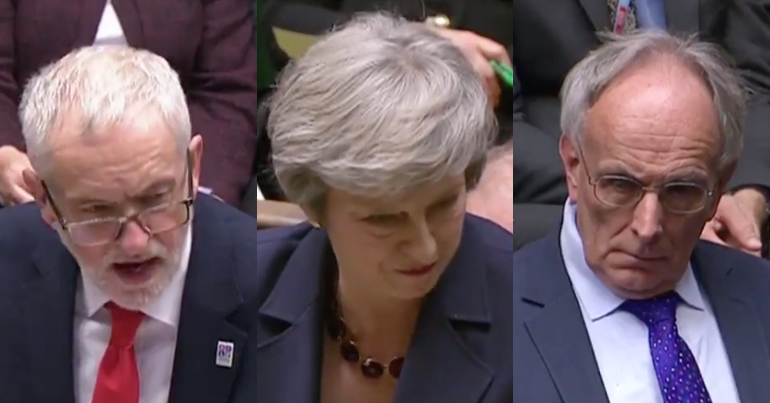 As Theresa May’s Brexit chaos reaches a climax, Jeremy Corbyn obliterated her at Prime Minister’s Questions. Corbyn asked several questions about Brexit, leaving the PM floundering. 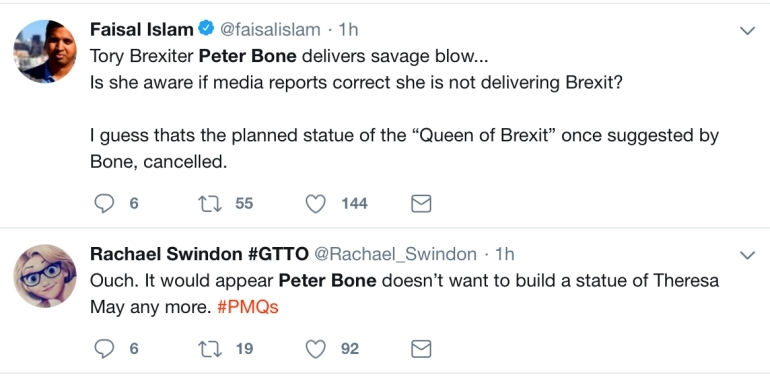 But it was a Conservative MP Peter Bone, a man who once wanted to build a celebratory Brexit statue for May, who drove the final nail in. Is the prime minister aware that if the media reports about the EU agreement are in any way accurate, you are not delivering the Brexit people voted for? And today you will lose the support of many Conservative MPs and millions of voters across the country. What we’re doing is a deal that delivers on that vote. But in doing so protects jobs, protects the integrity of our United Kingdom and protects the security of people in this country. With MPs ridiculing May as she stated her Brexit plan was a “good deal”, Corbyn quipping that the PM might not even be in office by the afternoon, and mainstream political commentators stating the frontbench looked “visibly uncomfortable”, surely the end must be in sight for May. Bone may be a vile MP, but he is driving in the final nail and making a key point. May’s deal is not welcome by any side of the Brexit debate, including her previous supporters. It’s time for her to stand aside, and let the country decide who they want to lead them out of this chaos.